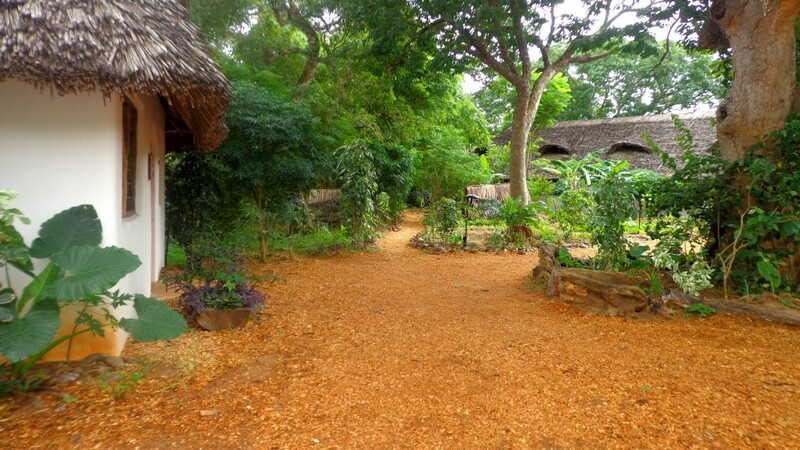 If you’re in Kilifi and are looking for accommodation so removed from the normal hotel environment, the Distant Relatives Kilifi Backpackers is the place. And not just Kilifi. 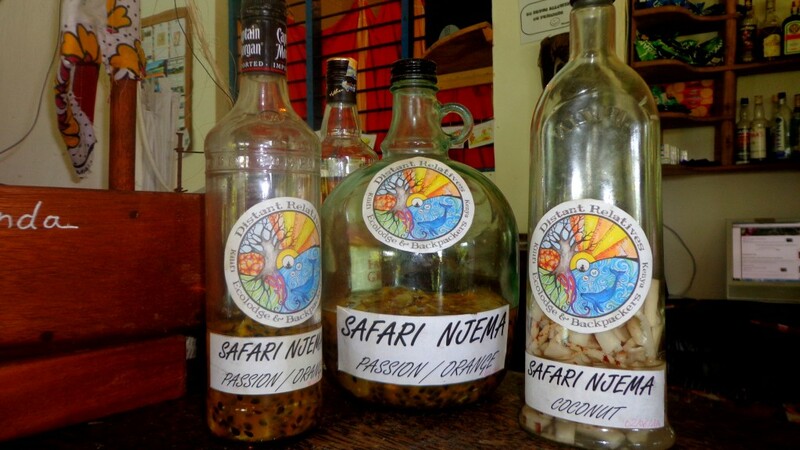 Mombasa and Malindi are each just an hour’s drive away. Backpackers is an eco lodge located in the bush just a few minutes drive from Kilifi town. It lives to its eco lodge name and philosophy by having just about everything natural – even the décor is as eco friendly as possible with their cushions and mattresses being made from locally grown sufi (kapok) fiber which they commission locals to prepare for stuffing into pillows and mattresses. Cushion covers are made from local khangas. 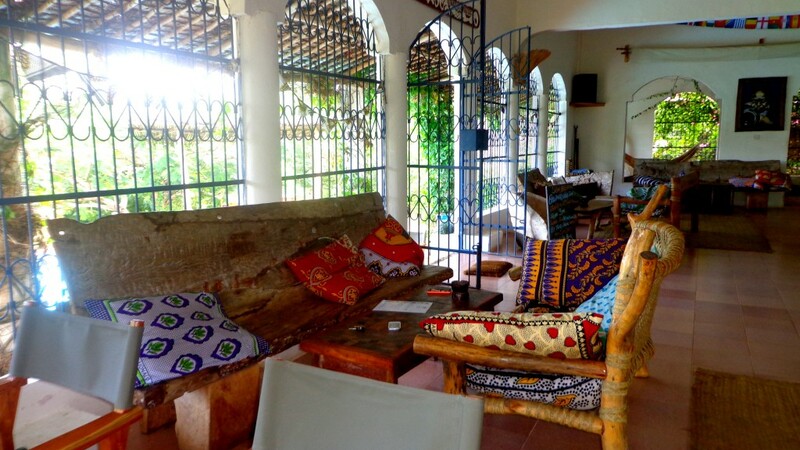 Distant relatives Kilifi Backpackers is very pocket friendly with accommodation options to fit even the lowest of budgets. This is made possible by a wide range of accommodation arrangements like dormitories, camps, tents as well as private bandas. There’s something for every budget. The staff at Distant Relatives can organize water activities like snorkeling, fishing, dhow sailing, and SCUBA diving courses among many others. With just a few minutes walk from the beach, you get to enjoy beach bonfires and early morning beach walks and a dip into the ocean. There is enough sitting area all around the property and there is so much to choose from. There are lounge seats strategically placed both on the inside and outside next to the pool. There are vast open spaces as well as nooks where guests can sit around and just lounge, read a book or just tell stories while enjoying food and drinks from the restaurant and fully stocked bar. 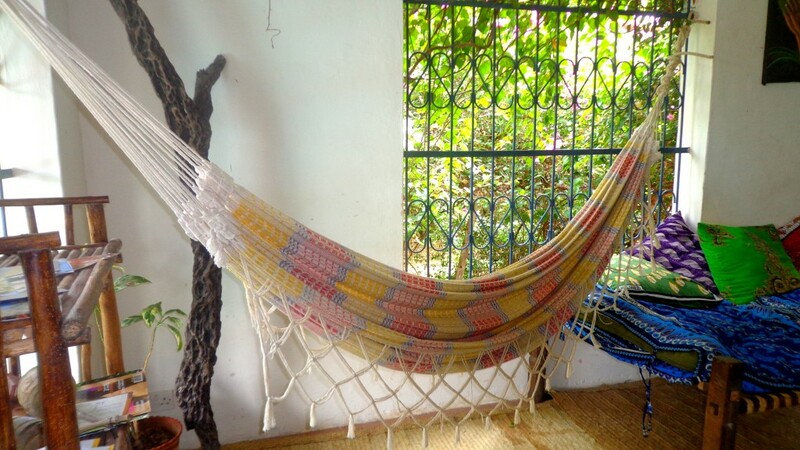 There is a hammock and a creatively carved out boat with cushions, quite the nook to occupy with a good book. There are swings out in the compound where guests and their children can play. On that playful note, there are some hula hoops in different sizes in the sitting area for both kids and free spirited adults to have fun with. Accommodation at Distant Relatives is not just accommodation but rather an experience and quite an interesting one at that. A clean break from the almost clinical atmosphere of modern beach hotels. You certainly feel in touch with nature the whole time you’re there. 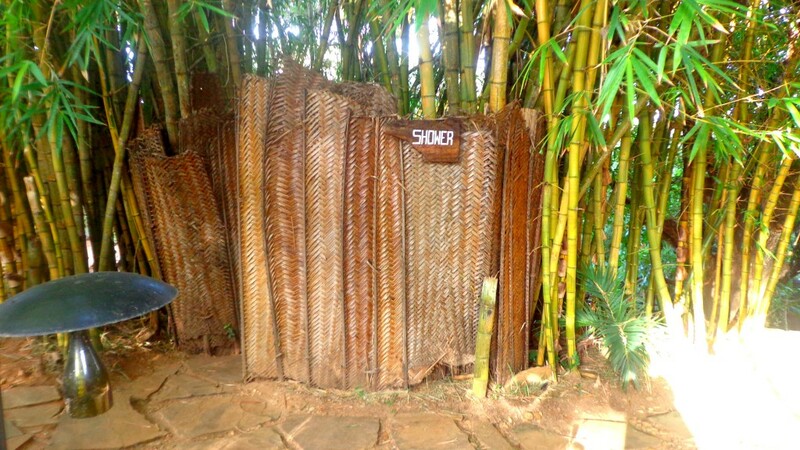 Some of the showers for example are a bunch of bamboo trees surrounded by locally woven mats. But they’re overhead showers with running water alright. Other than the usual drinks at the well stocked bar, Distant Relatives also has on their menu some unique alcoholic drinks which they make in-house with fruit and vodka. There are different flavours and this is a must try. The barman is a friendly chap willing to part with the recipes and tips on how to make these drinks at home.